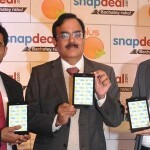 Oplus XonPad 7, a new quad core tablet from the OPLUS has been launched at RS 9990. 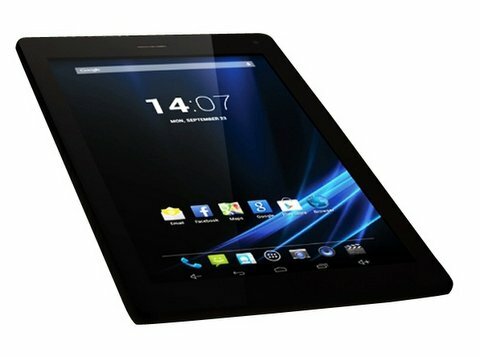 The XonPAD7 tablet draws the strength from 1.2GHz quad core processor coupled with 1GB of RAM. It will compete with Micromax Canvas TAB P560 and Xolo Play Note 7. It has 7 inch display with a resolution of 1280×800 pixels and 5 megapixel primary shooter. The tablet runs on Android 4.2.2 Jelly bean Operating system and has 16GB of internal storage and 32GB via micro SD card. There is 3500mAh battery to make the Xon Pad 7 alive. With new Oplus XonPad 7 you can make video calls and Voice calls over 3G network. You can insert SIM card to access 3G Internet and to make calls. It has G sensor, Light sensor and Display sensor. It weighs 310 grams and measures about 115×9.7×189 mm. It has 3G, WiFi, Bluetooth, GPS and micro USB with OTG support. Oplus XonPad-7 is priced at RS 9990 and is available from snapdeal for purchase.